Southern Gent and Banjo Slinger, Quattlebaum embarks on a Nationwide Tour in support of his new release: EP Vol. 1. Quattlebaum’s playing style is rooted in traditional southern bluegrass, but his stage presence and improvisational nature have morphed it into something all his own. Special guest Brad Parsons opens the show at 8pm. Austin Quattlebaum brings more to the table than just music. With his warm infectious smile he brings people together, encouraging comradeship and building community. Though it's undeniable that he loves the music and he’s a hell of a banjo picker to boot. Offering rowdy singer/songwriter solo shows, he blends gritty originals and tasteful covers, weaving together 3 finger banjo, clawhammer and flat-picking guitar songs into his sets. Sung with a bit of gravel in his throat, his sultry tunes are sure to keep the crowds attention. Born and raised in Savannah, GA, Austin Quattlebaum's sound is tinged with southern low country marsh land blues. After living in the mountains of southern Appalachia for several years his sound became steeped in traditional bluegrass and old time music . After 8 years of wilderness river guiding and living in a van as a touring musician, it’s grown it into a sound all it's own. 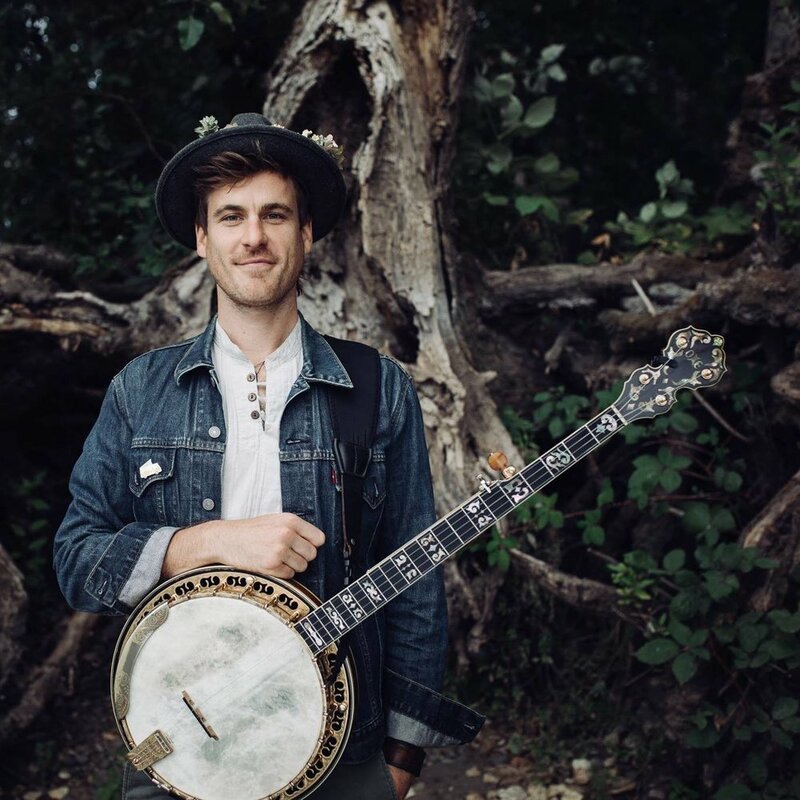 Quattlebaum’s adventures landed him in Portland, OR nearly 2 years ago where he quickly dove into the local music scene and founded the up and coming bluegrass band, Crow and the Canyon. (C.&.t.C. hit the Portland scene with a bang, achieving many accolades and notoriety in their short history.) Quattlebaum can also be seen touring the country with the 8 headed snarling folk monster band, The Sam Chase and the Untraditional, hailing from San Francisco. They've been making big strides over the last few years making a name for themselves at festivals such as Outside Lands, Hardly Strictly Bluegrass, and High Sierra. Whether taking the stage with one of his projects or all on his own, Quattlebaum isn't shy and always brings a good time.